Ms. Perritano has extensive experience in the defense and trial of complex personal injury cases over the past two decades. She has handled a wide variety of multi-party cases, from pre-suit investigation through trial including products liability, toxic torts, automobile, eminent domain, and construction-related claims. Ms. Perritano has defended various toxic tort claims including various environmental exposures, such as asbestos, carbon monoxide, latex and lead, allegations of “sick building syndrome”, and multiple chemical sensitivity. 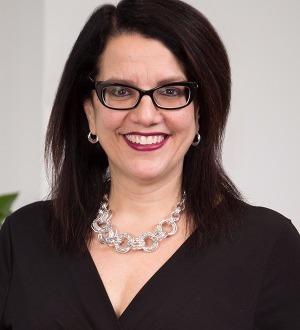 Ms. Perritano is also counsel to several asbestos clients in Massachusetts, Rhode Island, and Connecticut. She is well-versed in the steps necessary to mount a successful defense, including the applicable legal and factual arguments to be developed for a wide variety of manufacturers and distributors. She has acted as lead counsel in several multi-party asbestos trials in Massachusetts and is familiar with the approaches, positions, and arguments put forth by opposing counsel. Ms. Perritano has conducted numerous Plaintiffs’ expert depositions and uses the testimony developed through those sessions to conduct in-depth and effective cross-examinations of those experts at trial. In addition, Ms. Perritano serves as National Coordinating Counsel for an equipment manufacturer in asbestos litigation. In this role, Ms. Perritano is responsible for developing and directing her clients’ strategies through all phases of litigation including appeal. In connection with this work, Ms. Perritano acts as trial counsel and routinely assists in trial preparation for problematic jurisdictions nationwide. Her efforts include the development of defense experts, the marshaling and coordination of internal, historical, and archival documents, and the preparation of detailed and case-specific trial cross-examination outlines for key Plaintiffs’ experts.